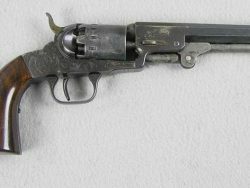 This is a very good condition Colt 1851 Navy with all matching serial numbers. 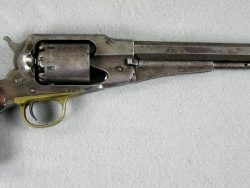 SN 18607 and was made in 1852. 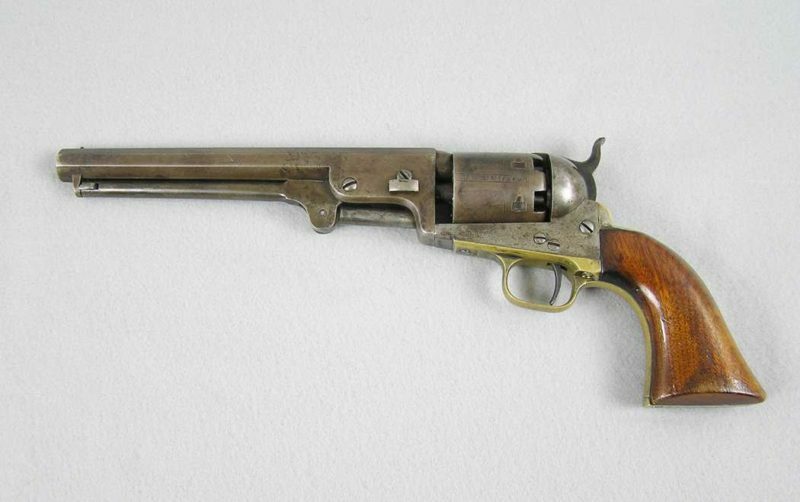 Nice traces of blue in the protected areas and retains 75% cylinder scene and the grips retain 80% varnish. All of the markings are sharp and crisp. The mechanical function is very good crisp and tight. 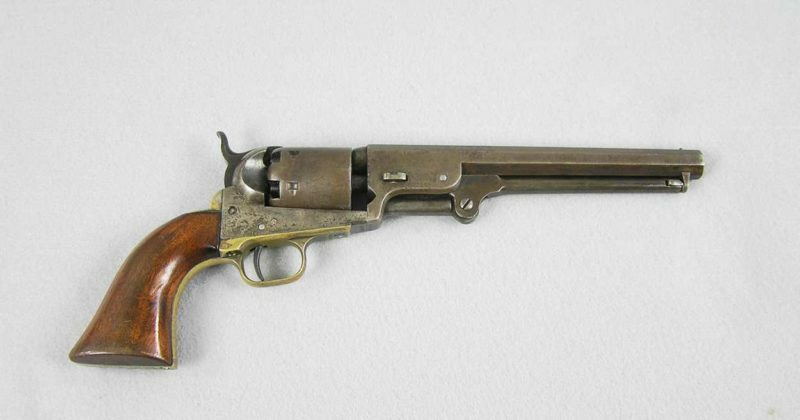 The bore is very good with strong rifling and bright but does have some corrosion. 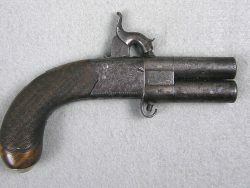 The trigger guard and back strap still have nice traces of original silver. The lever and frame still show faint case colors. 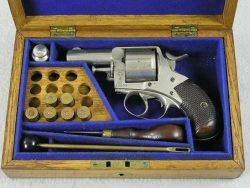 This is a really nice Colt Navy.